I have a ton of little hotel bar soaps since my husband travels for work (and feels compelled to bring them & shower caps home)! 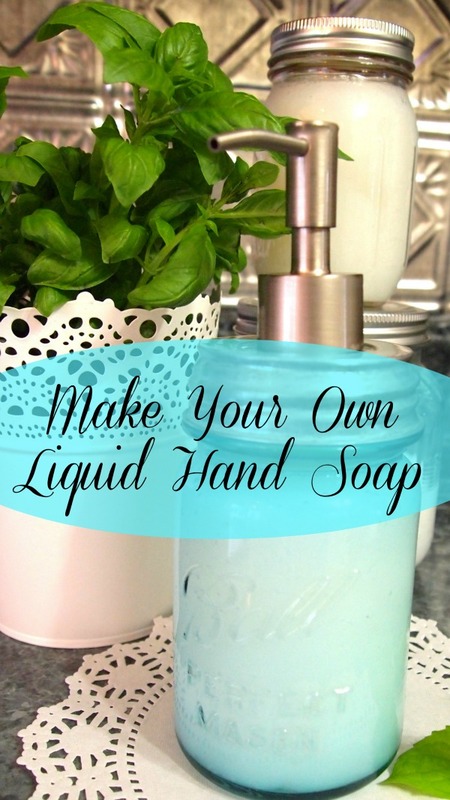 So I was looking for a way to use them up and found that lots of people were making liquid hand soap from bar soap. So I thought why not give it a try. I read a lot of tutorials before trying this and what I learned is that what type of soap you use affects the outcome and don’t make this if you’re super picky about your liquid soap! I’ve never read so many mixed reviews on a project. Some people had great results and loved it and others didn’t! Apparently Dove doesn’t work all that well (although one post I read said to just leave out the glycerin) and Ivory works really well. So making liquid hand soap from bar soap can be a trial and error kind of project. But since the soap was free I decided to try it and happily it worked just fine for me. I used my CVS Extra Care bucks so it hardly cost me anything and found both the Tea Tree Oil and glycerin there. All healthfood stores a carry essential oils and Michaels has glycerin (probably Hobby Lobby too but I didn’t’ check there). 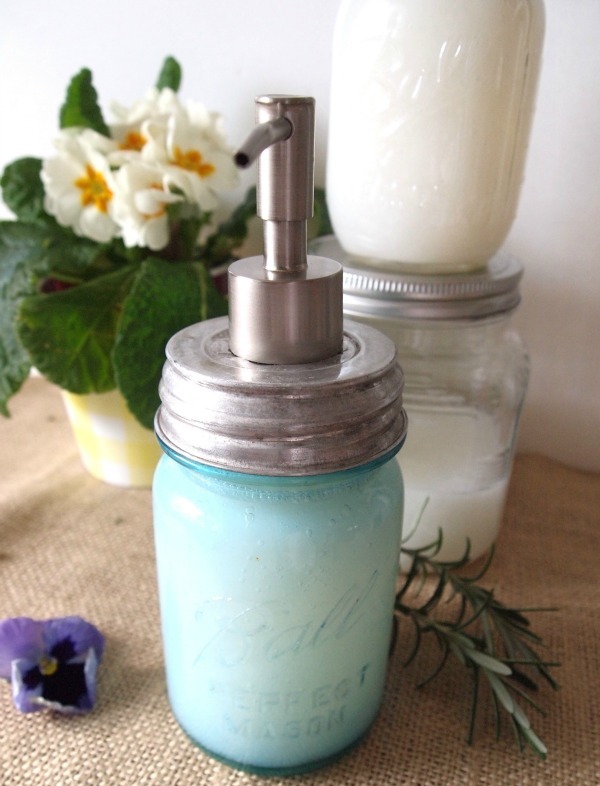 Use your coupons and you could be making liquid hand soap for pennies! 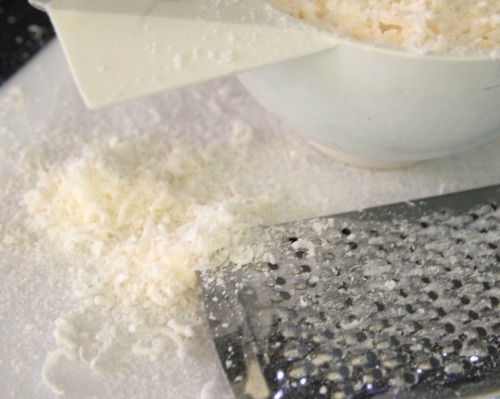 First I used my cheese grater and grated 1 cup of soap into flakes. You could also so a food processor. I used tap water so I started that boiling while I grated my soap. Some people used distilled water. After my water had boiled for a few minutes, I added the soap flakes and glycerin and reduced the heat to med-low. 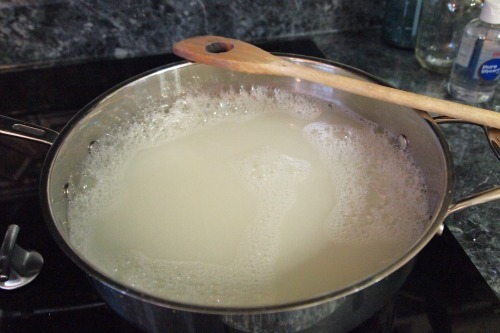 Stir until the soap flakes are dissolved. When cool – add your Tea Tree Oil. It started to thicken after a few hours but I let it thicken overnight because some people had mentioned that the consistency was runny or slimy initially. Leaving it overnight seemed to do the trick! I fluffed it up with my mixer before using a funnel to put it into my ball jars (some people used their blenders to fluff and some people didn’t think it needed fluffing). It’s not a sudsy type soap if suds are important to you (you can add a few squirts of commercial hand soap if you want suds). We’re really happy with how it turned out and I’ll be making liquid hand soap from now on instead of buying it as long as I have free bar soap! Have read/heard different instructions on how to make it, but have never attempted it myself. Thanks for sharing the tutorial. I like reading exactly how you did yours and what you really think about it. seems so many tutorials need to be taken with a grain of salt. I am pretty stocked on hand soap as I got a great deal on it when ULTA opened here and had amazing sales and free gifts. but my grands love to wash their little hands so that soap is not lasting as long as I thought it might. I’ve heard you can use those shower caps to cover bowls instead of using plastic wrap, have you tried that? I’d forgotten about that! Thanks for the reminder. I usually just use them when I want to deep condition my hair. Yes, I agree about tutorials. I’ve seen so many pinned and then when you go to the blog and read the comments they aren’t always flattering! Same thing with recipes. I always read the comments. Sometimes I think those are the best things about blogs – the people interacting in the comments section! 15 to 20 years ago I made the frugal score of the century — a “health” store was going out of business and I bought a gallon jug of Dr. Bronner’s Pure Castile Soap (peppermint scented) for $1.50. You dilute this stuff to use for just about everything (and it has a ton of bizarre but interesting writing all over the label, including quotes from the Bible, Dead Sea Scrolls, and Hamlet). We use it to make liquid hand soap, to wash the kitchen floors, various cleaning purposes, to wash the dogs, shampoo in a pinch — everything! And we’ve only used half of the gallon! It’s like a lifetime supply . . .
LOL! Well let’s see….I know, a shower cap wreath! I’ll make rosettes out of the shower caps and attach them to a hub cap that I found in the road. That way I won’t even have to buy a wreath form and I’ll be helping to clean up the environment too. Win win! Lucky score! I used to buy Dr. Bonner’s soap – good stuff. I probably wouldn’t be making my own liquid soap if I didn’t have so many little hotel soaps. We don’t like bar soap, so it seemed a good way to repurpose them and try something new. That bottle of glycerin will last a long long time! OH GIRL, I have tons of free soap and shower caps too:) I may give this a try when I run out! I think the last time I bought liquid hand soap… I bought a huge jug! My Niece made body lotion for Christmas gifts and I LOVE it! I am going to have to get the recipe because I can see the bottom of the jar! Have a blessed weekend dear Manuela, HUGS! I can’t wait to make up some of your Tea Tree Handsoap. My DIL uses Tea Tree Oil on everything from scrapes and burns to disinfecting. You are a dear for sharing this….Thanks so much! Great step outs Manuela…you make it all look so easy and simple! I am definitely giving this at try! 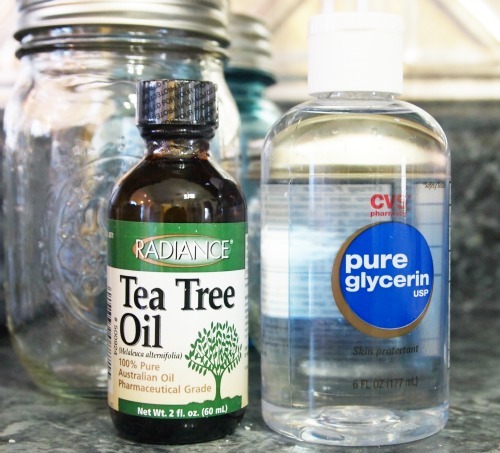 I have made hand soap from regular soap bars, but the recipe I used didn’t call for glycerin. I have some and may have to try this again. Right now I am buying Dr. Bronners and mixing it with water about one part liquid soap to water. We like it. By the way, your tutorial is very good – easy, and simple to follow! Where did you purchase the cute soap dispensers?.. Super cool idea! Thank you Manuela, I must try this! Shower caps are great for covering up containers of food that you do not have lids for, I use them all the time. Sometimes I can even get them to go over baking dishes as well. I have known to take them outside with me when I just need to pick a few small produce items in my garden, collect eggs, carry a few nuts or bolts ect they stay right in the cap and I can pull it all together and tie it off If I need to keep certain tools, supplies together as well. Where did you find the dispenser top for the ball jar? I got my dispenser on etsy.